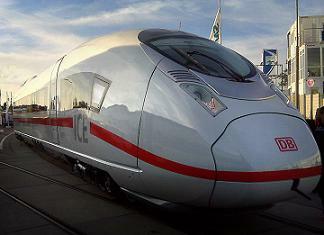 The ICE (InterCity Express) is the fastest high-speed train of the German Railways. ICE connects all the major German cities and its neighbor countries (Belgium, Netherlands, France, Austria and Switzerland). TGV (Train a Grande Vitesse) is the French high-speed rail service and connect many cities across France and adjacent countries. Journey to Frankfurt is with the (french)TGV and/or (german)ICE train. Travel time for the direct service with the ICE is 3 hours and 53 minutes. Cheapest fare is €39; standard fare 2nd class is €106. Fares for the 1st class range between €119-€200. Departure with the ICE/TGV trains is from Gare de L’Est. First train from Paris is the ICE train from 7.04 with arrival in Frankfurt at 10.58. The night trains Paris – Frankfurt depart from Gare du Nord (11/12 hours travel time). Journey to Munich is with the TGV and ICE train. Travel time is 6 hours and 09 minutes. First train from Paris is at 7.24 with arrival in Munich at 13.33. Cheapest fare is €89; standard fare 2nd class is €149. Fares for the 1st class range between €139-€250. Departure is from Gare de L’Est. Journey to Vienna is with the (french)TGV and (german)ICE train. The journey is not direct but always with 1, 2 or 3 changes of trains in Germany. Three changes of train (including traveling with the regional express) can be 40 minutes shorter than the ICE journey with 1 change! Standard fare 2nd class is between €145-€209. Travel time is 12-14 hours. Departure is from Gare de L’Est.